Monday, April 29, 7:00 – 8:00 p.m.
Is there a way to make the 2020 election about something more than simply electing a new President? Can it become an election that unites America? Can we leverage what unifies America, and get an (unrigged) democracy that could work? 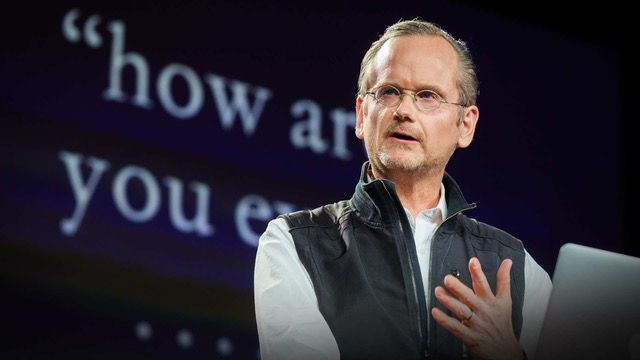 Professor, lawyer, and political activist Lawrence Lessig will be presenting his thoughts on what we need to do to unify America and reclaim our democracy. He is the author of several recent books including America Compromised and Republic, Lost: How Money Corrupts Our Congress – and a Plan to Stop it. Sponsored by the First Parish in Concord group Reclaim Our Democracy.